Dr Kaberi Banerjee led Advance Fertility & Gynaecology Centre is Delhi's leading IVF and Infertility clinic. Grey Coconut Designs's team was approached for a website design. The design was built around the years of experience and expertise that Dr Kaberi Banerjee carries and the various services offered at her IVF clinic in New Delhi. 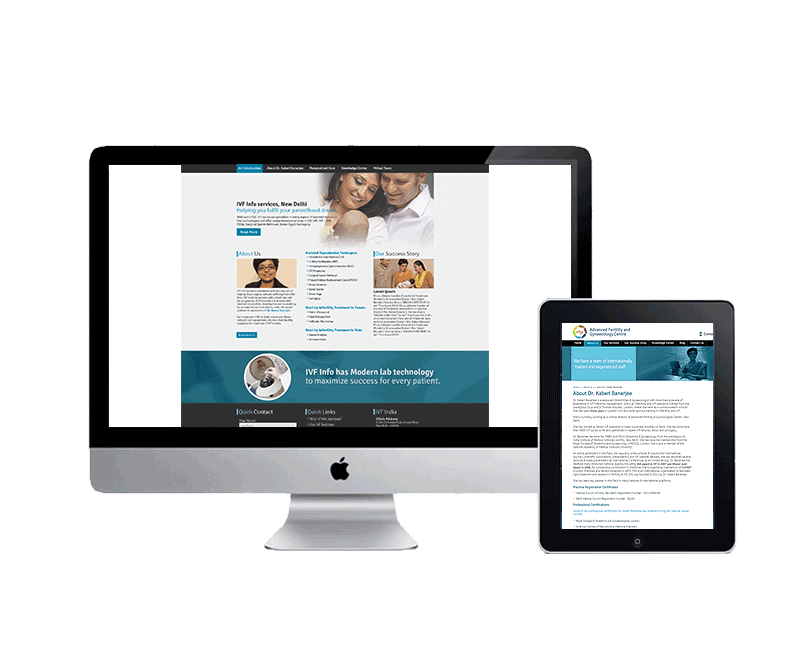 Patient stories, blog for technological update, media and events update were built into the website design to best create an active online branding for the centre.